On Thursday June 25th, WagonWheel Presents… welcomes Canada’s Good Lovelies back to The Greystones. 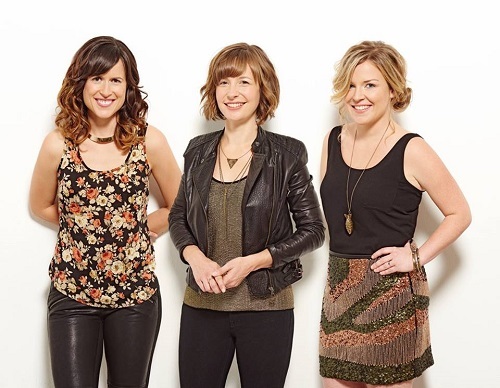 Good Lovelies are one of Canada’s premiere folk bands, known for their impeccable vocals, toothsome songwriting and on-stage charisma. With high-profile awards and plenty of praise from the international folk music community, the trio is now set to venture beyond the boundaries of old time traditions with a new album, Burn The Plan. A new spirit of adventurousness gives Burn The Plan an extra spark; the album is permeated with textures and tones from musical worlds away. Support for the evening comes from singer/songwriter Paul McClure. Advance tickets priced at £12 are available from http://www.wegottickets.com/event/309722 and the venue (12-6pm) or entry on the night will be £14. Doors open 7.30pm for an 8pm start. With Burn The Plan, a long-awaited new album, Good Lovelies are both fulfilling and defying their so-called musical destiny as a “folk trio.” What makes this Burn The Plan special is that the band’s considerable strengths – winsome songwriting, impeccable vocals, and triangulated charisma – don’t tell the full story. There’s a new spirit of adventurousness that gives Burn The Plan an extra spark; the album is permeated with textures and tones from musical worlds away. The eye-opening “In The Morning” has a delicate electronic touch that is more Postal Service than McGarrigle. “Waiting For You,” the most radio-ready of the collection, is an up-tempo, shimmering keyboard-laced number that would fit comfortably alongside the soft pop throwback of HAIM. Good Lovelies explore their inner Grimm with “The Doe,” which, like all good fairytales, is one part enchanting and one part chilling. Even the old time underpinnings of “Old Fashioned” and “When the City Settles” have a new polish, confidence and depth. This time around, the trio has spent time developing, expanding and honing their sound as musicians first, and as Good Lovelies second. These new songs were crafted not to ‘fit’ the band’s catalogue per se, but to exercise some autonomy from the confines of genre and tradition. The band is still playing, but not always to type, you might say. Burn The Plan is a study in how individual voices find common ground in such a tight-knit group dynamic. What keeps the three Lovelies making music together is not just their uncanny vocal compatibility; it’s their unshakeable friendships, which supports each member contributing to the songwriting in distinct ways. The story behind Burn The Plan is something of a contradiction – while each Lovely contributed their most personal songs to date, each song is filtered through a unique process of collaboration that characterizes the band’s entire M.O, where the final result is really and truly equal. 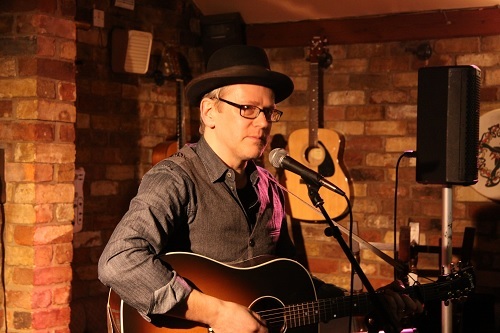 Prior to his current release, McClure has recorded 2 solo albums of original songs – ‘No Place Like Home’ in 2003 “fresh, vibrant and bounds with enthusiasm for his craft” 4**** Fatea, and ‘Desire Lines’ in 2008. (The completion of this overlapped with the birth of The Hi And Lo leaving it by and large obsolete.) McClure spent the best part of last four and a half years playing with The Hi And Lo, described as “Superior roots music from Leicester” by Americana UK. The Hi And Lo put out an album in 2010 called ‘Ten Tracks’. Smiling From The Floor Up is out now on Clubhouse Records, with a new album due to follow later this year.